heidi Boutique boasts more than 45 stylish labels – many of which are exclusive to heidi Boutique in Arizona. Heidi O'Brien makes market trips around the United States , typically choosing designers that are up-and-coming in the fashion industry. She also strives to bring in designers that are not currently in Arizona. A typical market trip includes visits to numerous showrooms to view the latest and greatest styles. In choosing new designers, O'Brien evaluates quality, style, cut and cost. In established designers, she looks at the pattern of goods, colors, cut, designs and price points. She prides herself on having a fun, funky selection mixed in with more conservative and classic pieces. O'Brien's feelings about a designer or a line is key in carrying only top-quality fashions. Her background in manufacturing has pushed her to look for high-end pieces; while trends are important, quality is number one. The Boutique for hip mamas and cool babies ~ where you will find all the 'must have's' !! 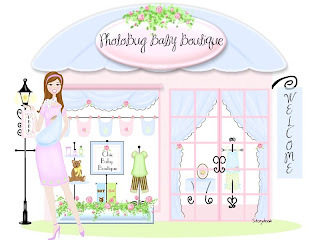 PhotoBugBaby Boutique is a mommy and baby boutique proudly serving hip moms and tots all over the world! If you are looking for an upscale boutique with affordable prices then you have come to the right place! All customers who login and create a profile at PhotoBugBaby Boutique receive a 10% off coupon!!! Also, please join our Mailing List ~~~~~~~~~~~~~>>>>>We send out notices of new items, sales, coupons and other information that we think may interest you - but only to those who have asked to be on our mailing list, so don't miss out!